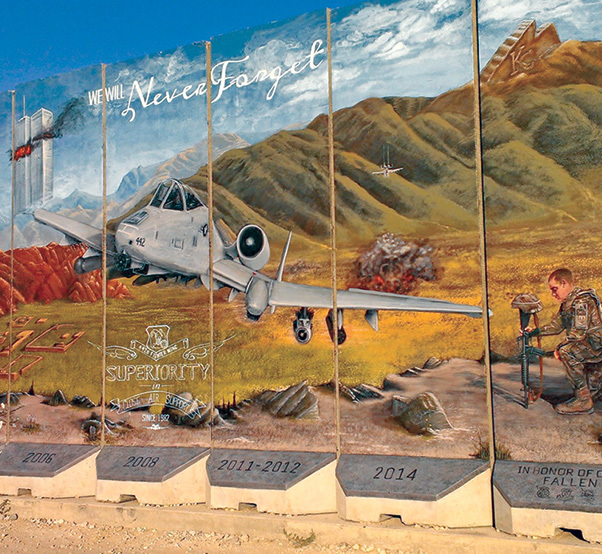 A mural by Staff Sgt. Omar, 432nd Wing sensor operator in training, depicts an A-10 Thunderbolt II providing close air support in 2014, at a deployed location. Omar was previously assigned to the 442nd Fighter Wing at Whiteman Air Force Base, Mo. On the left, the twin towers burn next to the words, “we will never forget,” to symbolize the events of Sept. 11, 2001. On the right, Omar depicted one of his wingmen, an Airman holding a battle cross to commemorate fallen soldiers. 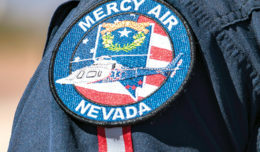 CREECH AIR FORCE BASE, Nev. — In the military, members are expected to be physically, mentally, emotionally and spiritually fit. This concept is the core factor when developing resilient Soldiers, Sailors, Airmen and Marines. A well-rounded Airman is not only a master of resiliency, but also a good wingman. It is a job that requires commitment 24/7/365 and incorporates the Air Force core values of integrity, service before self, and excellence in all we do. Wingmanship may seem simple, but it is an indispensable part of the Airman way of life. Historically, the term ‘wingman’ was first used to describe the pattern in which aircraft flew into battle. As the lead aircraft flies in formation, another flies to the right and slightly behind. This second pilot is called the wingman and protects the lead aircraft. During a seven month deployment to Southeast Asia, Staff Sgt. Omar, 432nd Wing sensor operator-in-training, learned first-hand what it takes to be a good wingman. It was during one such experience that Omar found himself in need of a friend. The hospital was suddenly thrown into chaos, leaving Omar in unfamiliar territory. 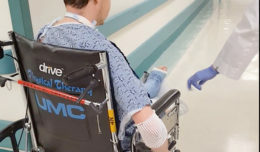 Omar recalled the injured patients were allied soldiers on a base-defense mission taking a break to hand out supplies to children when a suicide bomber, dressed as an Afghan policeman, detonated among them. Two coalition service members admire a mural painted at a deployed location by Staff Sgt. Omar, 432nd Wing sensor operator in training at Creech Air Force Base, Nev. 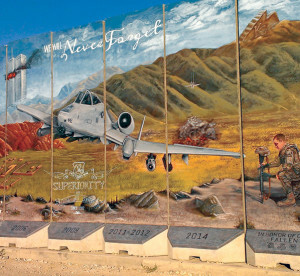 The painting depicts an A-10 Thunderbolt II providing close air support in 2014. On the left, the twin towers burn next to the words, “we will never forget,” to symbolize the events of Sept. 11, 2001. On the right, Omar depicted one of his wingmen, an Airman holding a battle cross to commemorate fallen soldiers. Omar assisted in lifesaving attempts, but ultimately five coalition soldiers and more than a dozen civilians and children were lost in the attack. Returning to work the next day, Omar was left with many mixed emotions as he tried to continue on with his daily duties with help from his wingmen. After this trying experience, Omar rekindled his passion for drawing and painting. 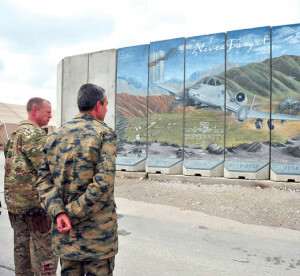 Feeling the need to give back, Omar voluntarily created a 20-foot high mural on a concrete force protection barrier at his deployed location. During the project, he overcame multiple obstacles, such as limited art materials and difficulty working with acrylic paints, which dried within seconds of hitting the searing concrete. Omar recalled that the mural took him three weeks to complete, but was well worth the effort to boost morale of those around him.